Public attitudes about climate change reveal a contradiction. Surveys show most Americans believe climate change poses serious risks but also that reductions in greenhouse gas (GHG) emissions sufficient to stabilize atmospheric GHG concentrations can be deferred until there is greater evidence that climate change is harmful. US policymakers likewise argue it is prudent to wait and see whether climate change will cause substantial economic harm before undertaking policies to reduce emissions. Such wait-and-see policies erroneously presume climate change can be reversed quickly should harm become evident, underestimating substantial delays in the climate’s response to anthropogenic forcing. We report experiments with highly educated adults – graduate students at MIT – showing widespread misunderstanding of the fundamental stock and flow relationships, including mass balance principles, that lead to long response delays. GHG emissions are now about twice the rate of GHG removal from the atmosphere. GHG concentrations will therefore continue to rise even if emissions fall, stabilizing only when emissions equal removal. In contrast, most subjects believe atmospheric GHG concentrations can be stabilized while emissions into the atmosphere continuously exceed the removal of GHGs from it. These beliefs – analogous to arguing a bathtub filled faster than it drains will never overflow – support wait-and-see policies but violate conservation of matter. 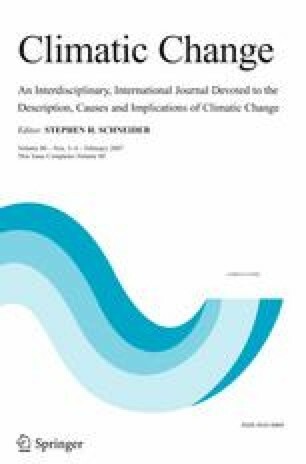 Low public support for mitigation policies may arise from misconceptions of climate dynamics rather than high discount rates or uncertainty about the impact of climate change. Implications for education and communication between scientists and nonscientists (the public and policymakers) are discussed. 1.MIT Sloan School of ManagementCambridgeU.S.A. 2.Harvard Graduate School of EducationMassachusettsU.S.A.